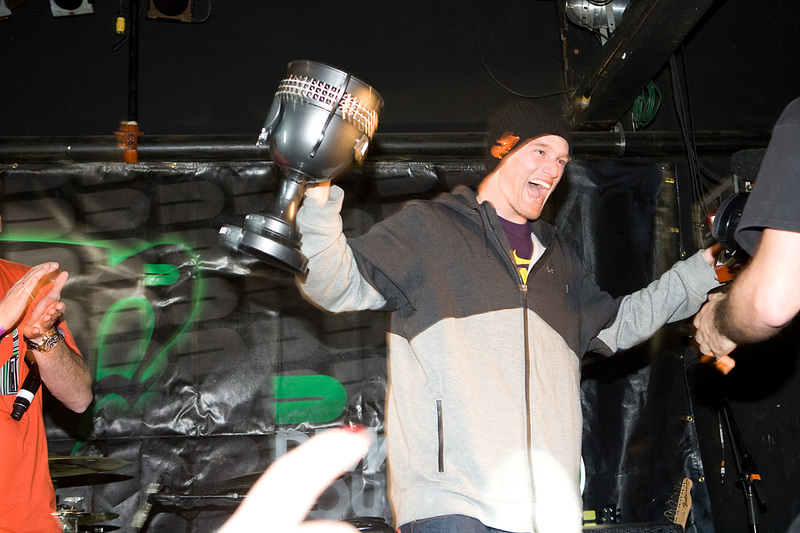 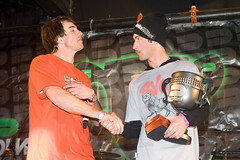 Andreas Hatveit had to make multiple trips to the stage during the Winter Dew Tour's Awards party and probably needed a caddy to help carry all his hardware and oversized checks. 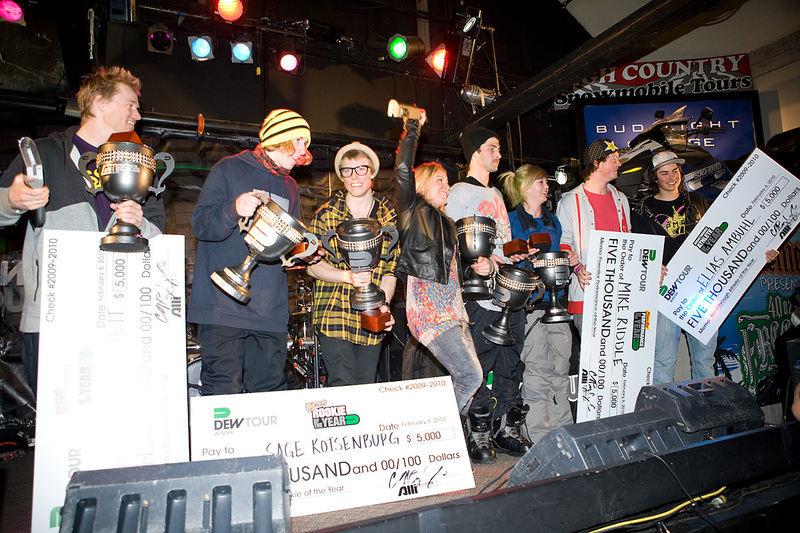 While it was a night to honor all the top athletes of this year's Dew Tour, the Norwegian's performance this year was absolutely recognized as he claimed the Ball Park Rookie of The Year Award, The Dew Cup for Freeski Slopestyle and the Athlete of the Year for the entire Dew Tour. 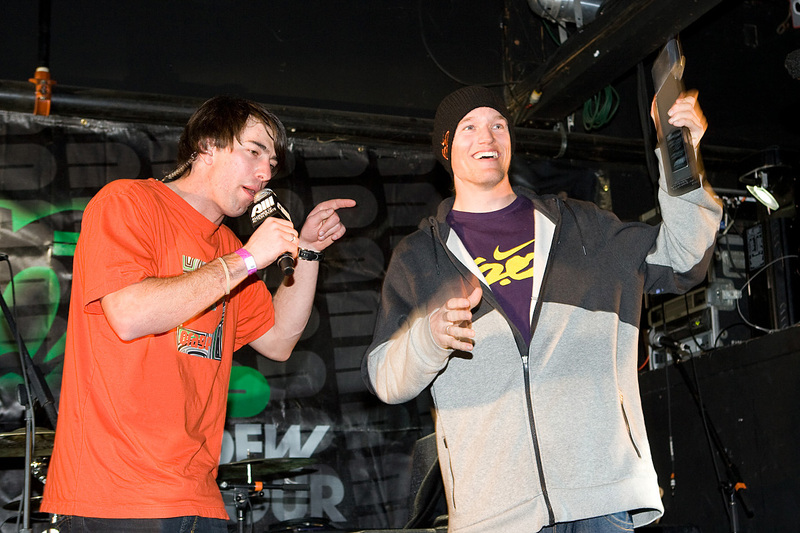 I guess having a practice facility literally in your back yard will do that to you. 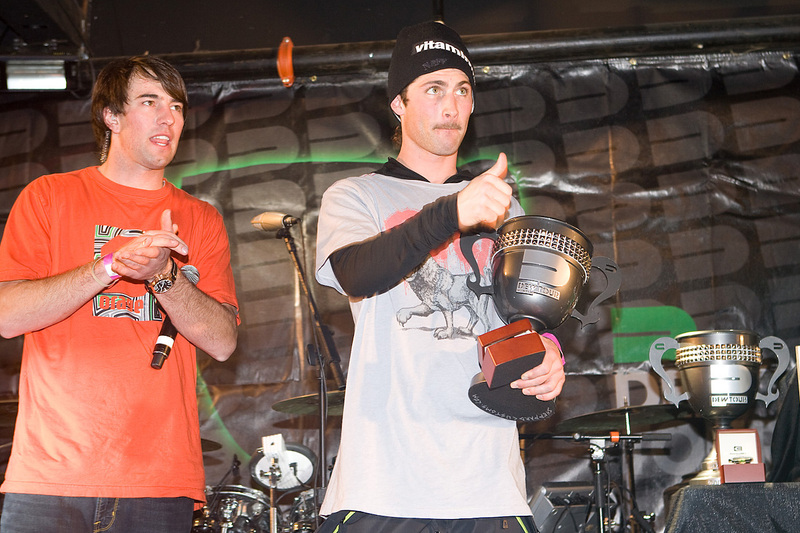 Fellow slopestyle freeskier Elias Ambuhl started the night off winning The Breakthrough Athlete of the Year award for finding his way inside the top ten while coming all the way through the qualifiers way back in Breckenridge. 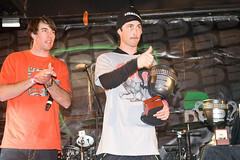 Mike Riddle won the PowerBar Performance of the Year with his clutch performance winning the Freeski Superpipe contest in Breck under the pressure of his final run. 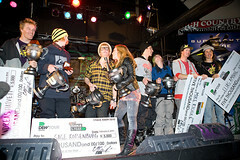 Halldor Helgasson from Iceland won the Trick of the Year with his double cork 1080 that he pulled at the beginning of the tour in Breck. 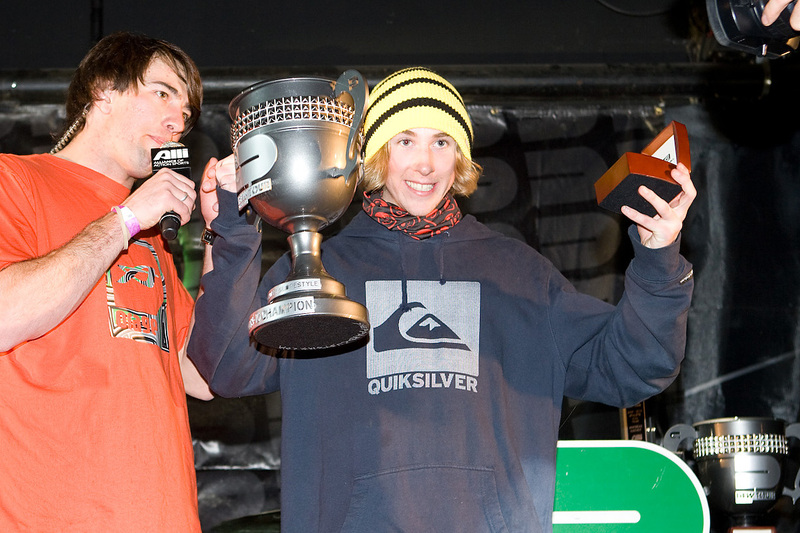 Halldor could not make it to the ceremony but did have a video taped acceptance speech that was played for everyone. 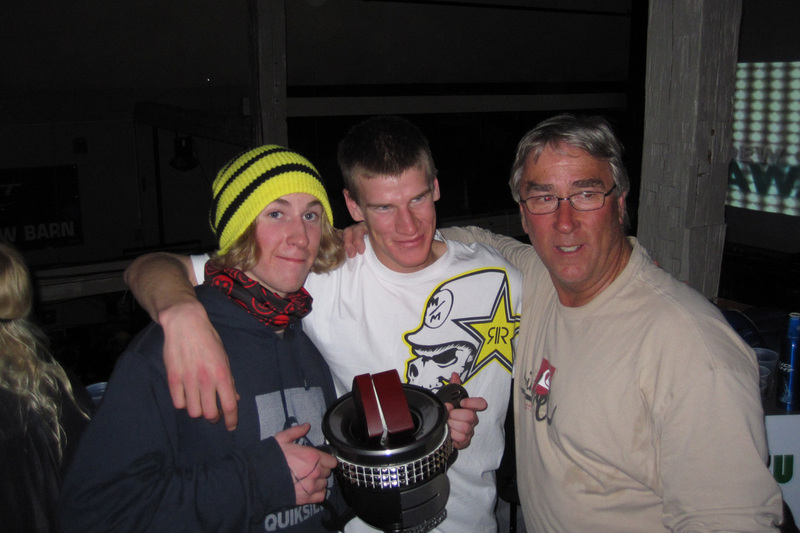 16-year old Sage Kotsenburg had a pretty good night too, winning the Dew Cup for Snowboarding Slopestyle with his tour long consistency and then backing it up with the Ball Park Rookie of the Year award for Snowboarding. When asked how he felt about all this he could only say, "It's been a dream come true". 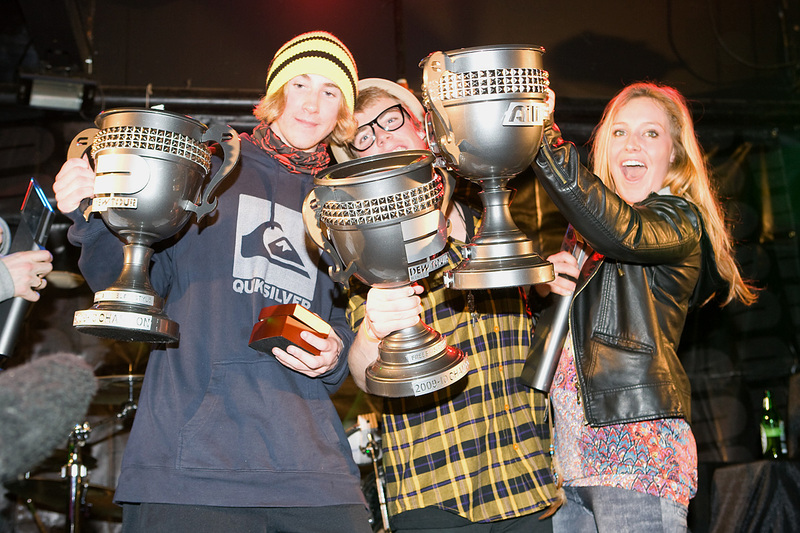 On the women's side of things, it was certainly Jamie Anderson's evening and year for that matter. 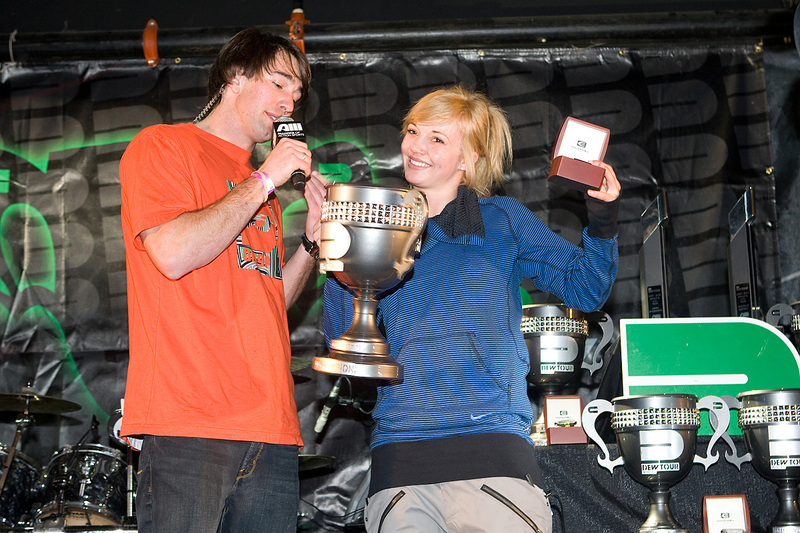 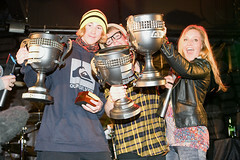 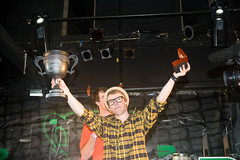 She collected her Dew Cup Championship for Women's Slopestyle. 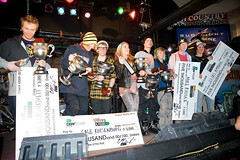 Her performance at the last stop in Mount Snow secured that honor and her tour long command of the slopestyle garnered her the Dew Tour's Athlete of The Year honors for the ladies. Not to be left out Kaitlyn Farrington collected her Dew Cup trophy and her exclusive Rockwell timepiece. 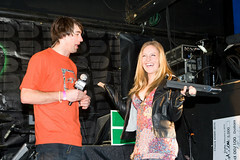 Always humble, her performance during the tour seemed to gain momentum as the tour progressed, saving the best for last winning the Dew Tour ender and claiming the overall Dew Cup Championship. 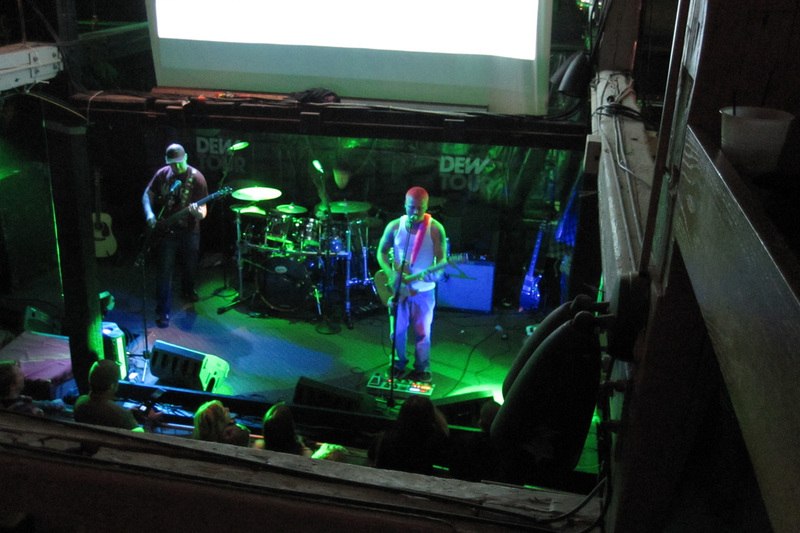 After the awards ceremony, Sublime tribute band, 40 Ounces to Freedom rocked The Snowbarn as the athletes, fans and the hard working crew of the Winter Dew tour celebrated another successful year of the best winter action on the planet. 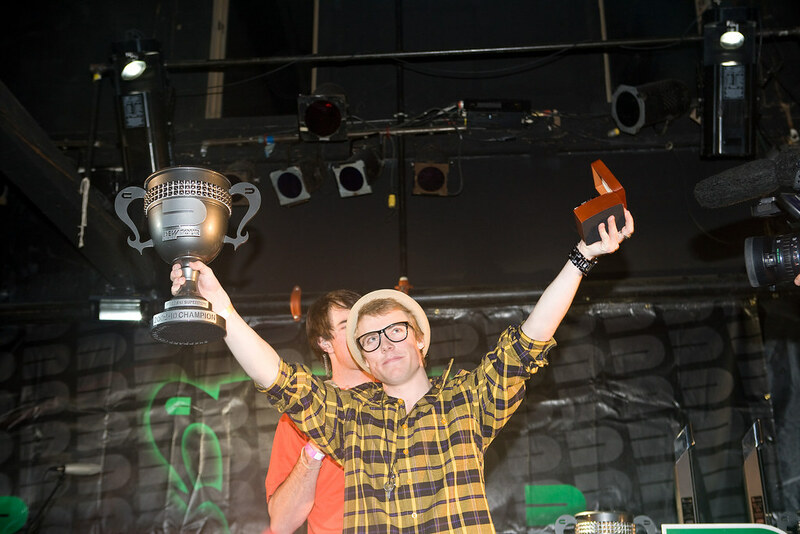 Congrats to everyone involved for making it so much fun and see you next year!